Summer is in full swing so are you ready to jump on your favorite chilled and icy drinks to soothe your throat. What about a Cold Brew Coffee? I am sure that everyone loves an iced cold brew during the summers. And that’s where the Cold Brew Coffee Makers come to play. The chocolaty and smooth flavor of cold brew coffee, its versatility as an ingredient in coffee mocktails and cocktails as well as the “low acid” has made it a famous alternative to traditional coffee beverages. But don’t get confused with this type of coffee. Why is Cold Brew Coffee favorite of everyone? Easy to make- Cold brewers are relatively easy to prepare and set up. Simply add cool water and coarse-ground coffee and let them sit together in a cool place or refrigerator for a long time. And let the magic happen. Brings the unique flavor of beans- Making a batch of cold brew brings out the unique flavors of the beans. You’ll really start to notice those hints of chocolate / floral / citrus etc. Numerous recipes to make- Once you have made the cold brew concentrate, now you have a lot of option what to do next. You can make different delighting recipes with that. Add sugar and cream to that and your morning drink is ready. Add soda water for a summer spritzer. And the same way you can discover a lot more recipes. Low Acidity- Since it undergoes the milder brewing process, the cold drip has up to 70% less acidity than your regular brewed coffee. And so it is best for the people having sensitive stomachs or heartburn. Long Shelf Life- The cold brew can be refrigerated between 7-14 days after it is brewed. For the people with hectic schedules, having cold brew concentrate to easily and quickly pour into their morning coffee cup can really help them get a great start of the day. There are countless makers and products on the market today that attempt to capitalize on the trend. 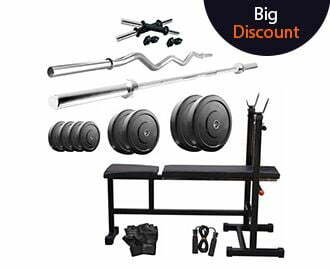 So, we have searched through what is available to find the very best in several categories, from high-end to portable to the simply cheap. Have a quick look at our best picks of cold brew coffee makers based on the ease of use, features, and other buying considerations. And then go through the full review to pick your favorite one. This machine comes on the top of our list of best cold brew coffee makers. 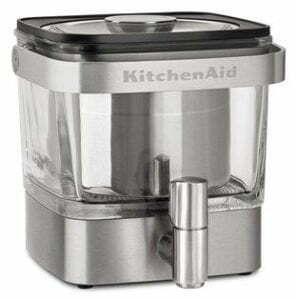 Get the perfect brew with this model of KitchenAid cold brew coffee maker. It comes with a beautiful and streamlined design with glass and stainless steel components to preserve taste. You can make up to 14 servings in one go with this cold brew coffee maker. Ideally, fit for any refrigerator and kitchen counter, this device lets you brew the beverage of your choice. It also comes with a fill level indicator to take the guesswork out of brewing process and gives the perfect brewing experience. 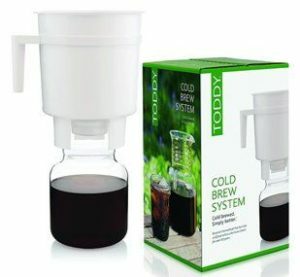 If you are looking for an easy to use as well as straightforward cold brew coffee maker, this model from Toddy is the best one for you. Equipped with the plastic brewer, the glass carafe, the cloth filter and the rubber stopper, this brewer makes refreshing and smooth coffee. This machine can brew up to 12oz of coffee. The very best is its filter that strains all the unwanted compounds like bitter acids and oils found in the ground coffee, and thus you can only get the smooth and fresh brewed coffee. This extremely budget-friendly device lets you make the quality coffee without any mess or hassle. Cold brewing process in this coffee maker is tremendously very simple. It offers only the naturally delicious coffee flavors, leaving behind the fatty acids as well as bitter oil. And thus, resulting in a perfectly balanced and smooth texture of concentrated coffee. Once you are done with the brewing process, you can keep your coffee fresh for up to 2 weeks in the Takeya airtight cold brew coffee maker. This machine from Osaka is one of the best cold brew coffee makers that give a perfect cup of cold brewed coffee. The best thing that catches your eye is its superb design. Made up of borosilicate glass, it looks like extremely sturdy and classy. 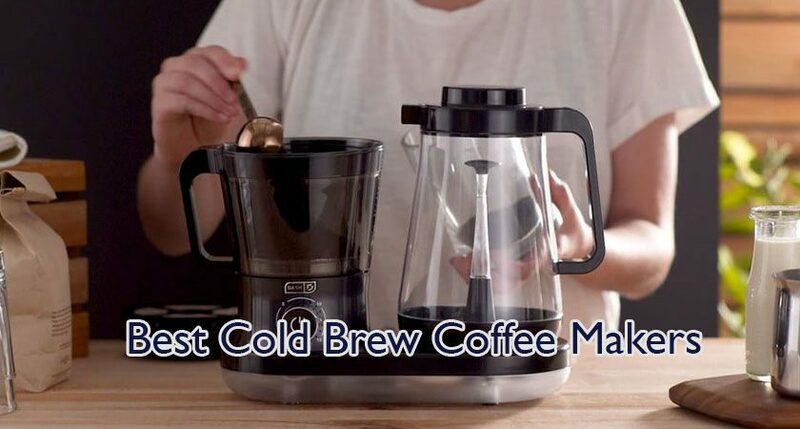 Brewing coffee is also very simple with this cold brew coffee maker. The device offers you an extremely rich and smooth textured iced coffee in no time even without any mess or hassle. 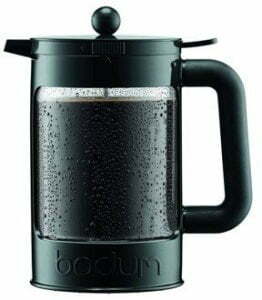 This cold brew coffee maker from Bodum brewed the same way as in the usual French Press. And this machine has made the best way to get your smooth and delicious iced coffee with a French Press. Just put the ground coffee in the jug as usual and add cold water to it. Then put the jug in the refrigerator overnight. In the morning just press down the plunger-Wow! The most smooth tasting ice coffee is now ready. Here, the bean comes with two covers- one for the fridge overnight and the next with a plunger to push down the coffee grounds. So get ready for a perfectly smooth blend of iced coffee with this cold brew coffee maker. That is all about our best picks of cold brew coffee makers. Since cold brewing process takes the acidic bite out of the coffee, it gives you a delicious and smooth cup of iced coffee. Get ready to impress yourself and even your guests with an awesome and super rich coffee by picking one of our top-listed cold brew coffee makers. And don’t forget to share your thoughts and comments if you feel anything is missing.